Can't get enough of that sweet PUBG chicken dinner? Then you'll be pleased to hear that smash-hit multiplayer shooter PlayerUnknown's Battlegrounds is coming to smartphone devices. But there's a catch – it's (for the time being at least) only headed to China. It's being ported by Tencent, who had previously announced it would be working on the localised version of the main game for the Chinese market. It's interesting to see that this is coming, especially seeing as there has recently been speculation that PUBG is going to be banned in its entirety in China. Promising an "authentic" port of the core battle royale gameplay, it's not yet clear how well the keyboard-and-mouse gameplay will translate to mobile screens. But it seems like we won't have to wait long to see it, with Tencent announcing "very good progress" is being made. PlayerUnknown's Battlegrounds (known as 'PUBG' to its fans) has been the surprise hit of the year, coming out as an early access title and amassing 21 million fans. It's often the most-played game on Steam among PC gamers, despite it technically being a work in progress. As such, though it's provisionally being launched for mobiles in China only, it seems unlikely to remain tied to that single locale for long. 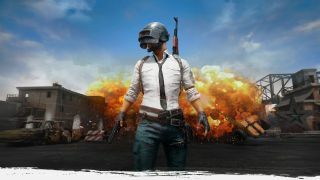 With multiple PUBG clones already proving popular on mobile, the potential for an official PUBG mobile title globally is huge. Expect to see it spread its wings before long. And it's not just mobile getting the PUBG love – Xbox One owners will soon be able to play the game, with a dedicated port coming to the console in the near future.